Padmaavat is the movie that was stuck in a lot of controversies. From the past few days, there have been a lot of rumors on the movie but putting an end to them, the makers are promoting the film heavily in the country. The movie starring Shahid Kapoor, Deepika Padukone and Ranveer Singh is directed by Sanjay Leela Bhansali. The movie is going to release tomorrow but there are paid premieres scheduled from today evening itself. 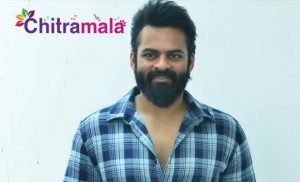 The movie has been watched at the special premiere in Hyderabad yesterday and here’s our review of the movie. The movie tells the great story of Rajputs and their way of respecting the values. 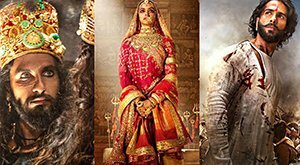 The film depicts the fight of Chittoor King Ratan Singh (Shahid Kapoor), his wife Padmaavati (Deepika Padukone) against Allauddin Khilji (Ranveer Singh). 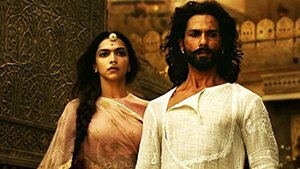 What happens in the end and how did Rani Padmaavathi, especially, protected her dignity by winning over a monster like Allauddin is the story of the movie. Sanjay Leela Bhansali is the visionary behind the movie and he must be appreciable for the same. He made a master piece and deserves a standing ovation. Every shot was colourful in the movie and tells a story. The major credit if the film had to go to the art department. They have put their best in bringing up the history alive. The three leads Shahid, Ranveer and Deepika have given their best for the movie. They immersed themselves in the characters they played. Their dressing, dialogue delivery and the way of carrying themselves on the screen is too good. Ranveer Singh has put a brilliant performance in the movie and brought out his best. He’s the person who deserves the major credit for the success. Shahid Kapoor impressed in the role he played while Deepika proved the fact that no one else could have been a perfect choice for Padmaavati. All the scenes involving the actors have come out well and the love track is impressive too. The proper care has been taken in making the movie especially for the war sequences. 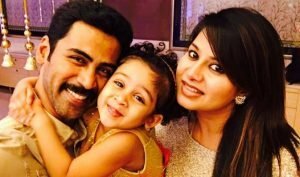 At times, the movie gets on to a slow Pace with few unwanted scenes. The second half of the movie is better when compared when the first half as the first half is a bit lengthy than expected. The director Bhansali did enough research on the history and made the movie. There’s not even a single scene that would draw a controversy in the movie. The story telling is impressive and the director took a good advantage of the emotional drama. There costumes were good. The visual effects are nice. The camera work is appealing. The background score for the last fifteen minutes of the movie is top notch. This historic movie is a clean movie depicting a great tale that happened centuries ago on our land. SLB’s skill in making the movie is completely evident and we need not separately tell about it. The best part of the film is the director sticking to the emotional drama which paid off well. On a whole, the movie is surely an interesting watch for the audiences and we recommend it too.